Lauren Brouwer-French is currently in her fifth year of a Bachelor of Psychological Science/Bachelor of Laws at the University of New South Wales. 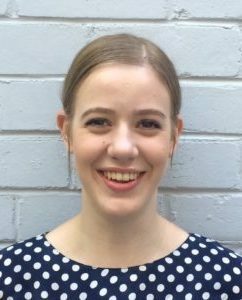 Lauren worked as a Research Assistant with the UNSW Parent-Child Research Clinic for four years. In 2016 under the supervision of A/Prof Eva Kimonis, Lauren completed research project examining whether female adolescents with variants of callous-unemotional traits differed in emotional processing. In 2018, Lauren contributed to a journal article alongside A/Prof Eva Kimonis examining the effectiveness of enhanced PCIT for children with Callous-Unemotional Traits. Lauren is currently a Student Law Clerk at the Kingsford Legal Centre where she works alongside solicitors to enhance access to justice for members of the local community. Lauren aspires to combine her knowledge of psychology with legal practice, and work to provide legal services to vulnerable and disadvantaged individuals in the future.